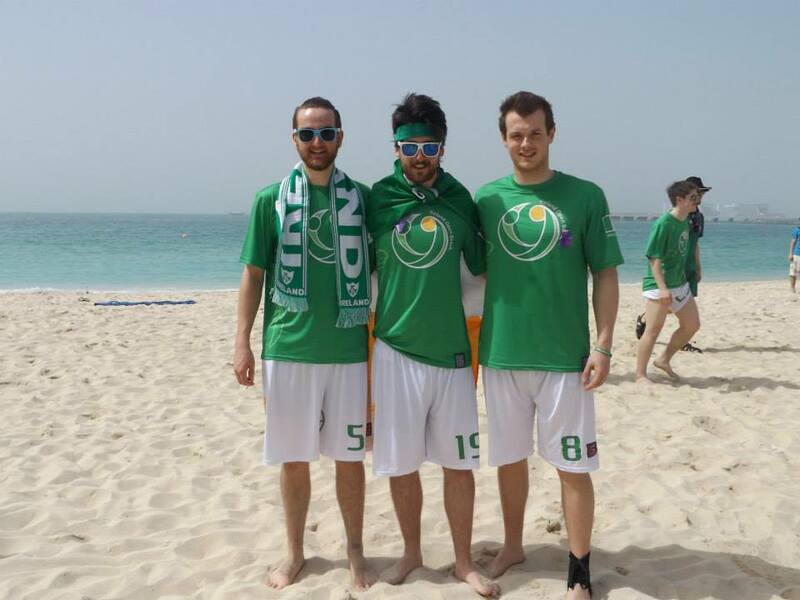 Well done on representing Ireland at WCBU. Thanks Si! Much appreciated. The support back home was really immense and made us all feel even more proud to be representing our country. Open, were there many trials for it? It was a little complicated, if I remember correctly. Boyler had a great policy where he was not only trying to construct a team, but attempting to publicise Beach Ultimate, so there were some people at the trial that weren’t actually fighting for a place there. Funnily enough the provisional team picked before the Mixed bid went through was also much different to the final squad! How did you find training over the winter for it? It was…interesting. 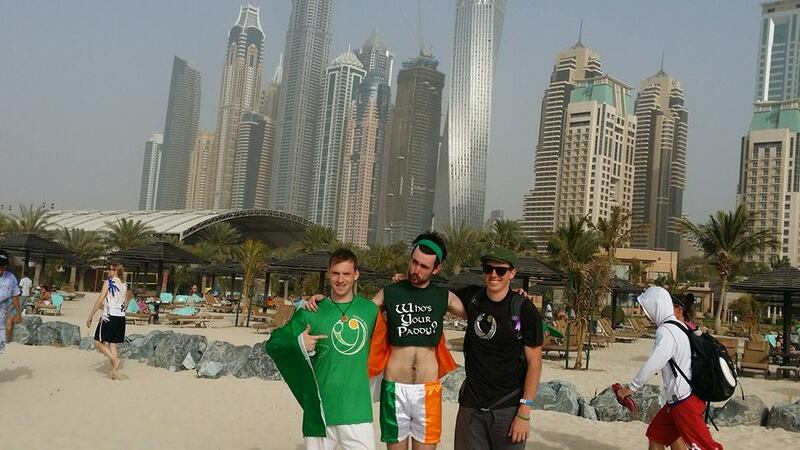 We knew that it was never going to replicate the conditions that Dubai would greet us with, but we all had very determined and positive mindsets for each training weekend. It was almost always windy, and absolutely freezing, but we still had plenty of opportunities to fine tune our tactics and attempt to gel as much as possible. The weather/wind was so bad during one of our weekends that we had to retire to Trinity Sports Halls after about 40 minutes on the beach and train indoors. Not ideal! When you hit the sands of Dubai, what was the contrast like? Tough. Much, much tougher than I had imagined to be perfectly honest. The sand was so fine, and your feet would sink into it with ease. It was energy zapping and slowed down even our fastest players. It took us awhile to acclimatise but I think by day 2-3 we had come to terms with it. How did you find Dubai? Good bits? Any parts like a JG Ballard, post modernist scene? All I can really do is echo Rory. It’s a bizarrely amazing city that’s hard to really make a fitting description of. So Americanised, but you still see the Middle Easten culture there in the background. It just didn’t seem like real life to me, so although I enjoyed my time there, I don’t see a return trip any time soon. 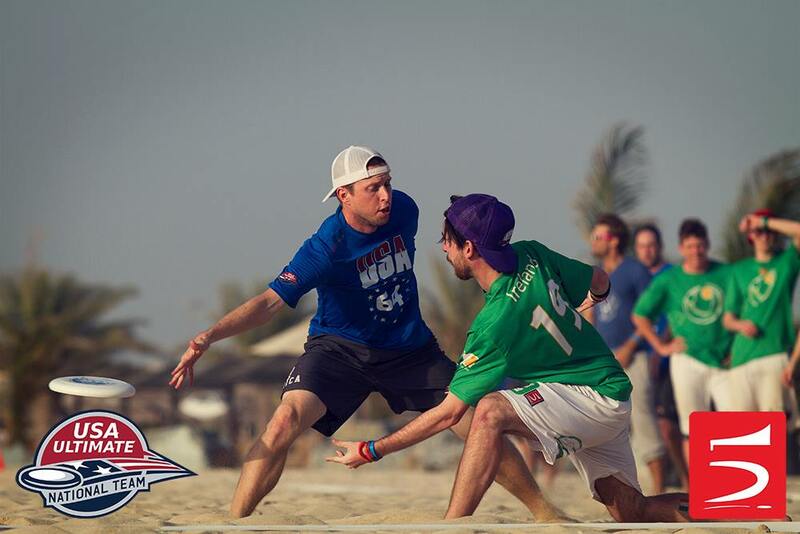 WCBU the event – highlights for you? Top games played? 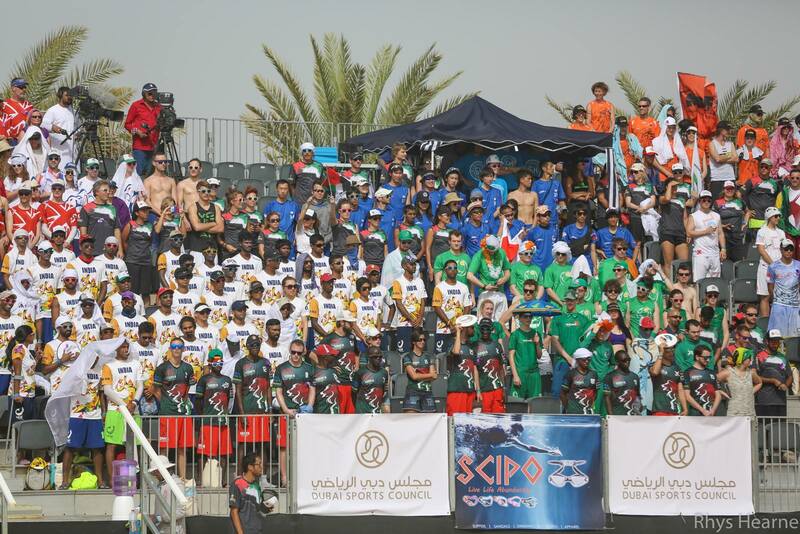 It was by far the biggest tournament I’ve ever experienced. So well organised, and incredibly fun. You can really see the effort put in by Patrick and the volunteers. I think the feeling of walking around during the opening ceremony and getting to soak it all in will stay with me for years to come! In terms of games, each game was really competitive and despite only getting one win, I’d like to think every team from 5th to 16th was on a similar level, which is incredibly rare to see and really exciting to play. I think our top game was certainly against the winners! We went out against the US with absolutely nothing to lose and the lack of fear gave us a huge boost. Not only to get the chance to play, but to go a break up against a team of pros was just crazy. I will also say, it’s the most spirited tournament I’ve ever been apart of. The consistent level across all our games was really humbling and so refreshing to experience. Every team seemed to have a great mutual respect for one another and it made each game that bit better. Any wins that got away?? India, without a doubt. They beat us fairly handily on Day 3, so when the rematch came together we were gunning for them. For 80% of the match we were playing our best Ultimate and it looked like we had done enough to win. The Indians have really admirable spirit and drive though and somehow managed to grind through three really long points at the end of the game and pipped us on Universe. We were in absolute bits after that, which showed how much we wanted it. Singapore, you came close in both games, what made the difference? I think playing them first thing was the worst scenario we could have been met with. We were still pretty raw as a team, and it was our first ever competitive fixture as a full squad. They, however, were extremely well drilled and had that extra bit of pace on the beach. We gave them a better battle on the final day, but due to a number of reasons (fatigue, lack of focus, the Thursday night party) we lacked that spark needed to best them second time round. You beat Kenya, was that a highlight? They seemed to start tournament well, but run out of steam – was superior fitness a factor? I was sadly sidelined for the Kenya game due to almost collapsing from the sun prior to our warm up (Maybe that was the key to our win…). But, I was extremely proud of the team for being able grind through the game and take that much deserved win. From watching the Kenyans, I think they struggled as the wind grew as the tournament progressed. They had a lot of really fast and athletic players, but only a small number of them had the disc skills (or perhaps just the confidence) to play in the wind. That was certainly key in our game anyway, and it was a little funny that the horrible Sutton winds actually stood to us. Anything that you would do differently as an individual and a team? As a team, I think we had some really effective tactics, but maybe a lack of plan B did hurt us somewhat. I would put that down to a lack of warm-up tournaments available to us, so I genuinely feel we did the best we could in the conditions we were met with. Which Open teams really impressed you? The Philippines were disgustingly adept with the sand, for good reason. And, as I already said, India had a wonderful attitude and infectious positivity throughout the tournament. What did GB and Philippines excel at in the games you played against? As I said, the Philippines were at home on the beach. They would run you ragged and leave you chasing shadows. The most difficult game we played without a doubt. GB were mostly Clapham players so they had great team unity that shown through as they made their way to the final. Were the USA any good? Why, what can we steal from them to help Irish Ultimate? In a word, Yes. They didn’t look like they were light years ahead of the other teams, or even ourselves if I’m being a bit bold. They did, however, have the knowledge, ability and determination to best any team they faced, which was how they are now gold medallists in our division. What can we steal? Well I think we should all probably spend the next year in the gym if we want to emulate the yanks. They also had a fantastic level of spirit that I honestly didn’t expect. To win the division and the SotG award is huge and admirable. Boyler’s dream double! 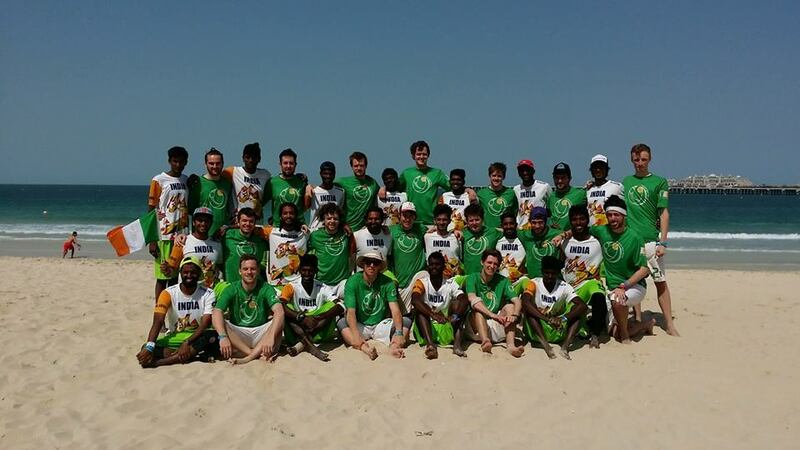 Open teams at World Beach have generally tended to have more inexperienced / debutant players for Ireland. Many of those players have then made great leaps and gone on to do great things for Ireland. 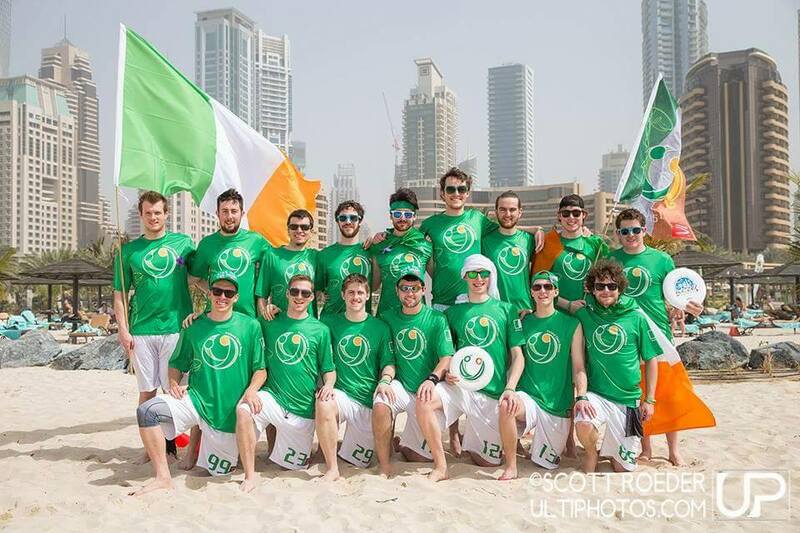 Question, what do you plan to bring back to the teams you play for in Ireland? I’ve already adopted/stolen a few tactics and systems that Boyler brought to the Duboys, as well as plenty of drills. Personally, I think that the weekends of attempting to play in the horrible weather has improved my ability to throw in the wind, which I’m pretty chuffed about. I think the experience garnered from the week at WCBU (or any Worlds tournament for that matter) is impossible to replicate so I’m pretty happy that I wasn’t the only DIT or Hammertime player over there. It’ll only improve our teams! Anything else I should have asked you / you’d like to add?